Hydraulic reaction-type apparatus for determining the setting time of concrete. Knowing the set time will help to determine when the concrete has fully hardened. The term “initial set” is the semi-hardened, partially hydrated condition of the concrete beyond which it can no longer be worked. 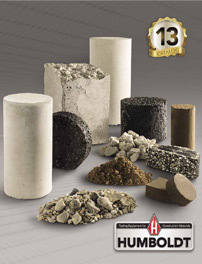 Humboldt provides products to help measure the setting time of the concrete. Shop Humboldt's selection of Pocket Penetrometers, Penetration Resistance Apparatus and Acme Penetrometer for accurate and simple tracking of concrete set times. If you have questions or need help selecting equipment, please call us at 1.800.544.7220 or use our Quick Response form.